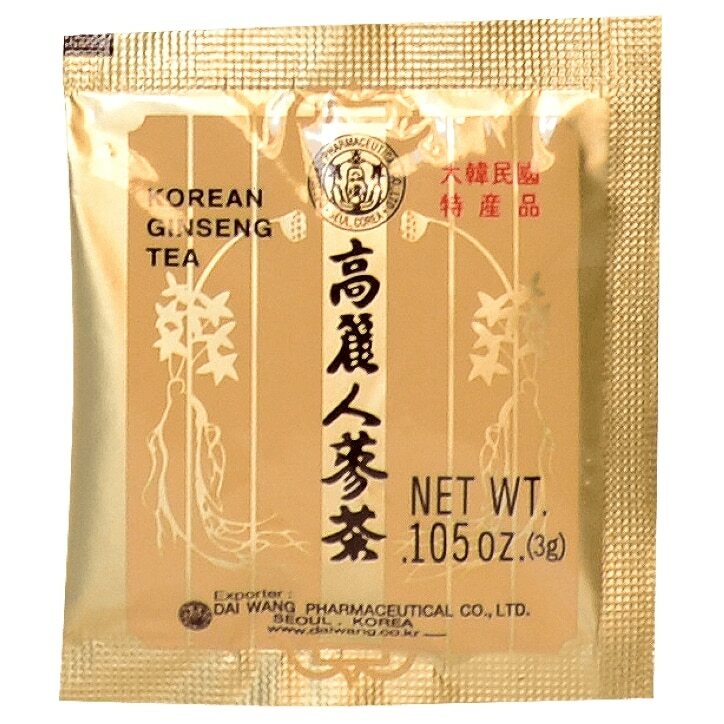 Dai Wang Korean Ginseng Tea is rated 4.4 out of 5 by 16. Rated 4 out of 5 by Addz from Good purchase bargain for the price and has many benefits! will buy again :)! Rated 2 out of 5 by Angela_uk from Tasteless Bought these tea powders for the first time, was really looking forward to the taste. The powder dissolved quickly in hot water after a few stirs. The taste of Ginseng wasn't as mild as other brands, but rather light and nearly no taste. I have consumed some quality Ginseng before, so rather disappointed. Will not buy again. Rated 4 out of 5 by RMT65 from Lovely tea Nice tasting tea. Very light and delicious. I didn't feel it did much to perk me up though. I'd buy it again, as I liked it. Rated 2 out of 5 by Zuze from Nothing special. I had already drunk all of the tea but never noticed any difference,just a drink with no effect on me. Thank you. Rated 4 out of 5 by nooooooo42 from Tasty tea Really nice tea. Doesn't need anything added in my opinion. Perks me up mid afternoon.